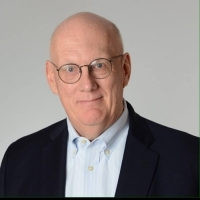 Stephen Enright is an accomplished Senior Executive and Consultant with more than 40 years of success across consumer services, pharmaceuticals, human resources, healthcare, transportation, and computer software and hardware industries. Leveraging extensive experience leading company downsizing, he is a valuable advisor for an organization that is closing or experiencing a critical transition. His broad areas of expertise include human resources strategy, human resources assessment, and program implementation. Throughout his executive career, Stephen has held leadership positions with SJE Partners, LLC, Diamond Healthcare Corporation, Steward Health Care System, LLC, CDC Software, and Overnite Transportation Co. If you really want to simplify your Human Resources Policies and Procedures, rules and regulations..
You got the job! It’s your first C-Suite role and it just happens that there is an executive.. Ten years ago, I was in a conference room in Boston evaluating recruitment consulting companies to..